One day, I was playing with this new Samsung cell phone. 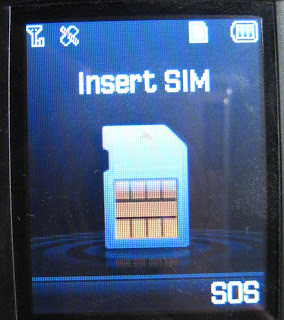 I inserted the SIM card inside it but for some reason it kept rebooting. So, I took the SIM card out and tried to follow the instructions on some website to "unlock" the phone. After trying quite some codes and the phone still didn't work. "Damn, how can cell phones be still so hard to use in the 21st century??" I complained. Being so frustrated and helpless, suddenly I noticed this SOS thing at the lower right corner of the screen. "SOS... SOS = help right? Let's press the button to see if someone from Samsung will tell me how to unlock the phone..."
"911??? Oh sorry I didn't mean to call 911.."
"Are you sure? We are here to help you." The operator said in a way as if I was being threatened by somebody with a gun. "No, I'm fine, really. I'm sorry about that..."
This is a funny story! funny story!! yes...somehow you're just so desperate that you forgot SOS is the universal language to ask help for emergency!! i did similar thing...pressing the "NOT" button on a light rail in vienna. NOT in german means emergency. but somehow i thought it means "to note" to the driver that you want to get off at the next stop. of course, i was cursed but fortunately in a language i didn't understand.